The Klimt masterpieces have been seen only twice in the last 127 years. Yet they have been on show all the time. 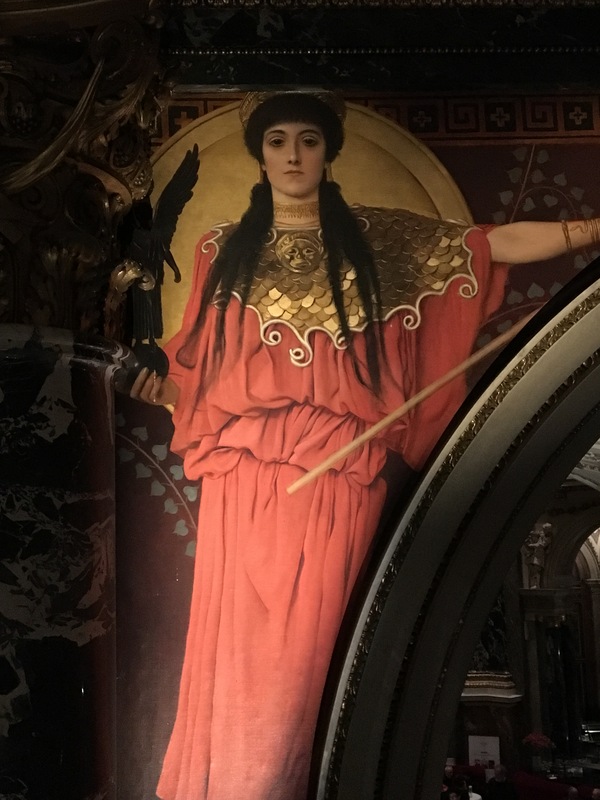 In 1891 Gustav Klimt, at the age of 29 already a successful painter, was commissioned as one of several artists to paint murals in the mighty main staircase of the newly-built Kunsthistorisches Museum (KHM) in Vienna – a kind of combined British Museum and National Gallery. The paintings are epic in scale, stretching from one side of the vast space to the other. I noticed the paintings at once when I visited the KHM in 2016 and wanted to get a good look at them. But I couldn’t. Because of the scale of the space, you cannot get closer than about 12 metres away – around 40 feet. The pictures are tantalising: spectacular, yet distant. Cue frustration. For 127 years, visitors to the KHM have had to view the Klimts from afar. So in 2012, someone had the bright idea of building a mighty, 4-tonne platform, or “bridge”, above the stairwell of the KHM to allow visitors to view the Klimts from close up. In 2018, the 100th anniversary of Klimt’s death, the bridge has been re-erected. For only the second time in 127 years, you can see the paintings close up – as Klimt saw them. To come face to face with the paintings is a wonder. 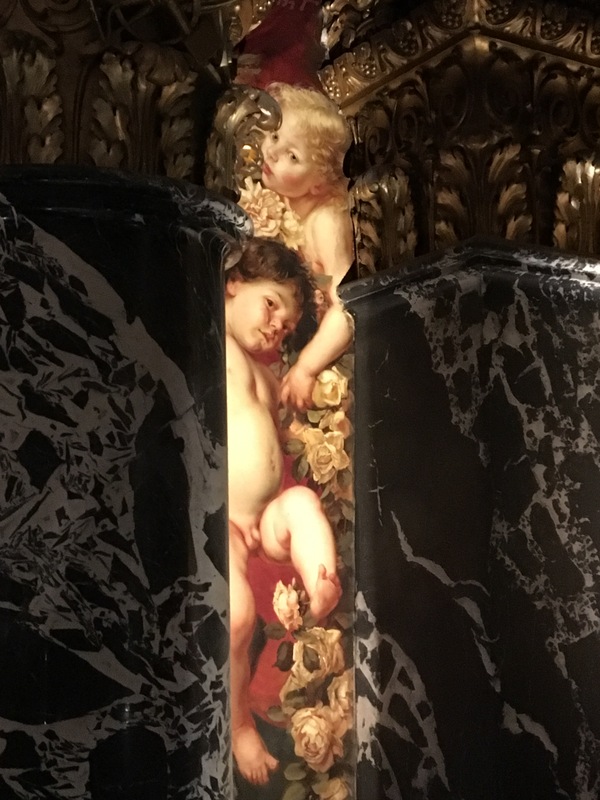 As the video at the KHM’s own site (site in English, video in German) says, although the paintings were designed to be viewed from a distance, they look perfect close up. They are also in outstanding condition, despite (or perhaps because of) never having been restored. You can view the “Stairway to Klimt” at the KHM until 2 September 2018. I strongly recommend it: a clear 9/10. I’d give 10/10, but it depends a bit whether you like Klimt. P.P.S. As an experiment, I have created a poll. Feel free to take part! By Robert Pimm in Reviews, Robert Pimm on 24/03/2018 .